The movie, coming to theaters in limited release, promises smaller thrills, but is a refreshing change of pace. The box office has been abducted and dragged into the sewers by an extraterrestrial clown. With It single-handedly saving theaters from empty-seat doldrums, this week feels appropriate to look at what will be a much quieter release: an indie film called The Tiger Hunter. And I do mean small. The movie will open in just four theaters around the Philadelphia region on Sept. 22 in a limited theater run. So, It can hold on to those September records. 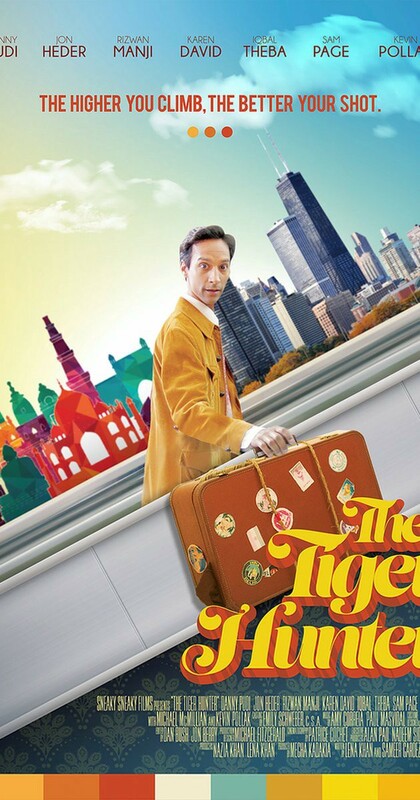 The Tiger Hunter is a period comedy set in the 1970s about an aspiring engineer moving from India to Chicago to pursue the American dream. It stars Danny Pudi, best known for playing Abed on Community, as the ambitious but naïve immigrant willing to do anything to climb the social ladder. And despite its limited budget, or more accurately because of it, the film is completely endearing. Within minutes of stepping into the land of the free, Pudi’s character Sami learns the engineering job he just traveled across the globe to start has fallen through. He has 30 days to secure permanent employment, or else he’ll be sent packing back to India. Luckily, he is quickly able to secure a job at a manufacturing company attempting to invent the world’s first microwave that doesn’t leave the middle of food frozen, or explode. Unluckily, he’s working in the basement, doing whatever the engineers upstairs tell him to do. Pudi’s demeanor could be summarized as “wacky,” from his cartoonish oddities on Community that seem to linger with him here. He’s a good choice to convey the humor of the film, which is always brisk and never meant to be taken seriously. But when director Lena Khan tries to conjure more seriousness in some of the film’s later scenes, his limitations as an actor are exposed. Entertaining, yes, but not versatile. The script (written by Khan and Sameer Gardezi, who also pens Modern Family) toys with the 1970s setting. Pop culture references fly over the newly arrived Sami’s head. The story’s themes could venture into political territory, but rather than toil, it acknowledges political references with a quick wink and moves on. With modern-day entertainment as politically charged as it is, this is an undeniable change of pace. Sami’s pursuit of greatness is a story personal to Khan. Just like the character, Khan had a relative who was a tiger hunter (Sami’s was his father, Khan’s was her grandfather). For both, it inspires them to live up to the greatness their previous generations achieved. Sami’s journey takes him to job fairs where he has to share one professional outfit with his dozen roommates (they meet and change in the bathrooms), and to temporarily abducting a coworker’s mansion to impress a love interest.